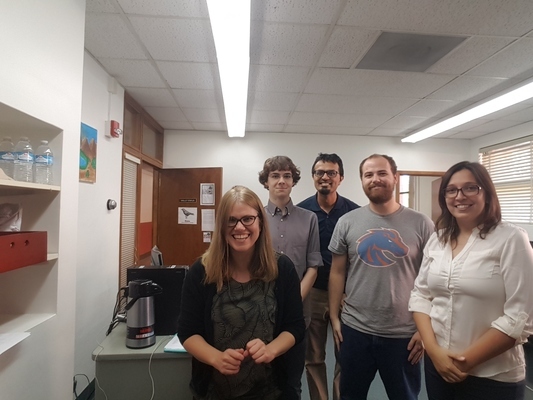 On November 10th, 2017, the University of Arizona Corpus Lab held its AntConc Workshop. AntConc is an application that allows users to view useful information about a text such as the word frequency, placement of search term in the text, and more. The main goal of the workshop was to help instructors 1) to develop an understanding of how to use Crow and AntConc to address language awareness within their writing classroom, and 2) to understand the value of using students’ writing. Corpus data offers a new way to look at learning English as a second language. Using a corpus, instructors can see what common mistakes their students make or what patterns of language are more common in certain genres, and then create activities based around them. For example, when the instructors searched for parentheses, the locations of the citations within the papers could be seen in the concordance plot. This helped instructors see how their students were using citations and whether or not they were being used correctly. Another idea during the workshop was comparing the use of the word “like” in written papers versus spoken English. The differences in writing and speech help us understand how these students are learning and understanding English. The workshop was a great success and the materials as well as a video cast will be available soon.